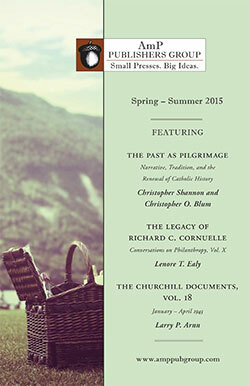 Scholarly evidence continues to point to the enormous benefits of marriage to couples, children, and the society. Released by a group of eighteen family scholars, the latest edition of Why Marriage Matters offers important new findings from the social sciences on the state of marriage in the United States, including why recent increases in cohabitation and family instability pose a risk to children. 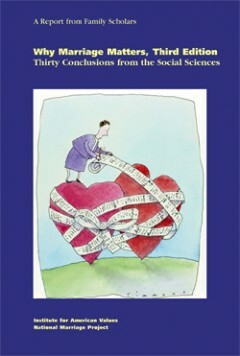 Like previous editions, the third edition of Why Marriage Matters reviews the relevant research on family topics and comes to three fundamental conclusions: marriage is an important social good, marriage is an important public good, and the benefits of marriage extend to poor and minority communities. The third edition pays particular attention to new research on the impact of cohabitation on children and families. For most of the latter-half of the twentieth century, divorce posed the greatest threat to child well-being and the institution of marriage. Today, that is not the case. New research—made available for the first time in Why Marriage Matters—shows that the rise of cohabiting households with children is the largest unrecognized threat to the quality and stability of children’s lives in today’s families. W. Bradford Wilcox is director of the National Marriage Project and associate professor of sociology at the University of Virginia. He chaired the team of scholars that authored the 3rd edition of Why Marriage Matters. He has published articles on marriage, cohabitation, parenting, and fatherhood in The American Sociological Review, Social Forces, The Journal of Marriage and Family and The Journal for the Scientific Study of Religion.